Kayla (Nadia Buhari) A blind young beautiful woman, never imagined of being in love with her present condition but fate brought her together with Charles (Van vicker ). circumstances came in their midst, and has to do with Charles' sudden disappearance from her life, and after she regained her sight it was roughly confirmed that Charles is dead and after the Report of his death Kayla still believes that he would come back to her. Orjitv Entertainment is the home of the latest Nigerian movies 2019 / 2019 latest Nigerian movies / family movie, Nigerian TV shows and Ghanaian Ghallywood movies. 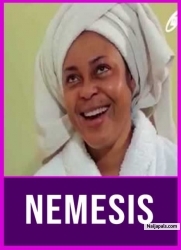 Visit our channel to watch and download thousands of Nigerian movies 2019 / 2019 latest Nigerian movies / family movie featuring amazing Nollywood actors such as mercy Johnson, mama Gee, Ivie Okujaye, Majid Micheal, Genevieve Nnaji, Walter Anger, The Hillarious Apama and many more. With new Nollywood movies released on Nigeria films every week, we work extremely hard to maximize your viewing pleasure. 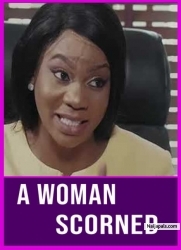 Subscribe to our channel today and get your fill of the Nigerian movies 2019 / 2019 Latest Nigerian movies / family movies.